Mumbai: Rohit Sharma will miss the fourth and the final Test against Australia at Sydney after he left for Mumbai on Monday to be with his wife Ritika Sajdeh and newborn baby girl. 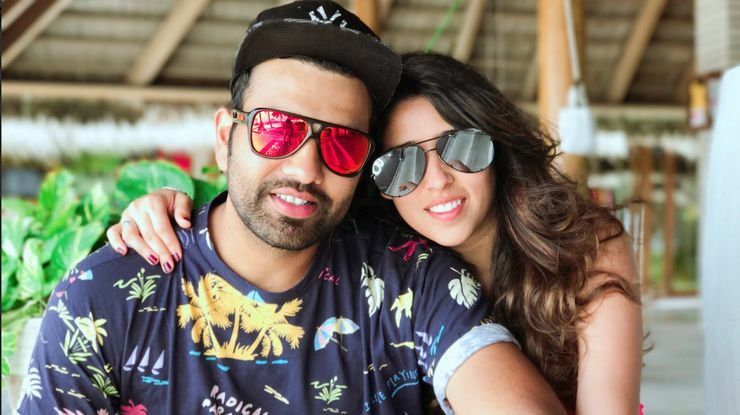 "India batsman Rohit Sharma left for Mumbai on the 30th of December to attend to his wife who has delivered a baby girl. The BCCI congratulates Rohit on the beginning of a new chapter in his life," the BCCI said in a statement. The couple tied the knot on 13 December 2015.Rohit, who scored a half-century in the third Test as India beat Australia by 137 runs to take 2-1 lead, will not be available for the series-deciding fourth Test in Sydney as he has already taken the flight back to Mumbai to welcome his first child.